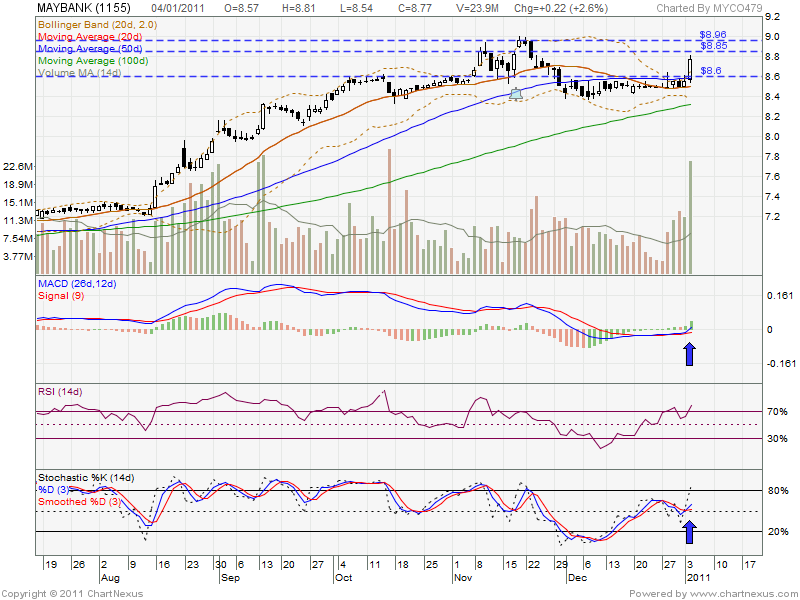 After consolidate around 1 month at RM8.50, forming bolinger band squeeze. On 4 Jan 2011, Maybank have been break up bolinger band squeeze with huge volume. MACD & Stochastic %K, both indicator have been bullish crossover. 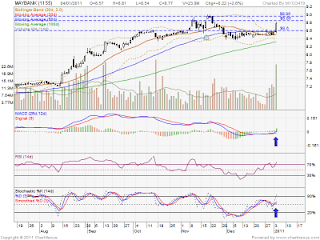 However, if retrace down, it might retest RM8.60 support level.